It’s all in the street name. 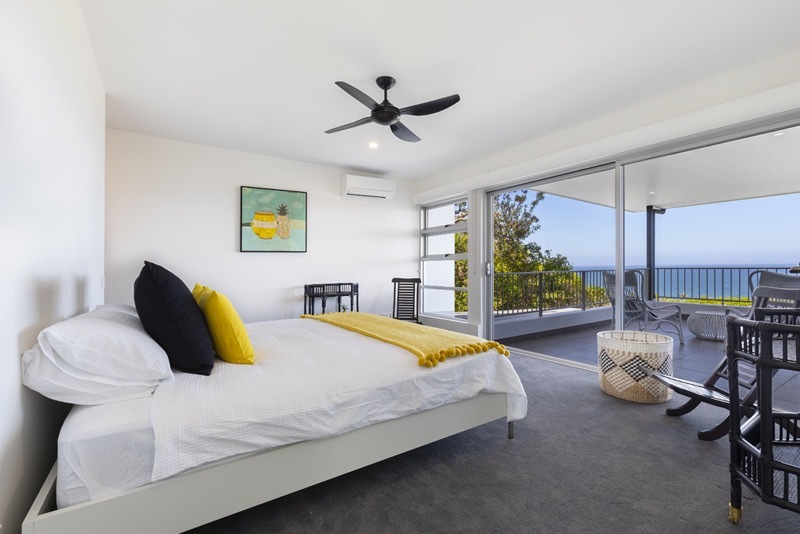 13 Seaview Terrace sits in a perfect position for your Sunshine Beach holiday with stunning ocean views and easy walking access to the beach, national park, restaurants and shops. 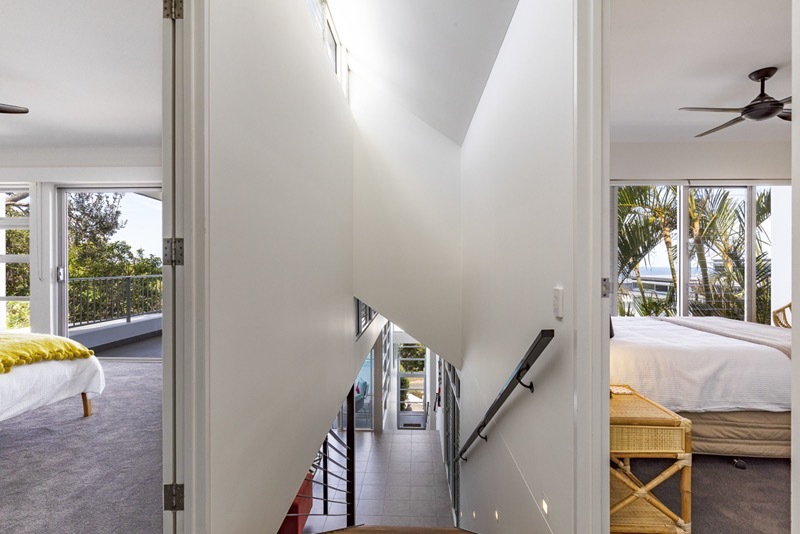 This cleverly designed home offers beautiful views from almost every room and is deceptively large, with living areas across three levels that create space and connectivity at the same time. 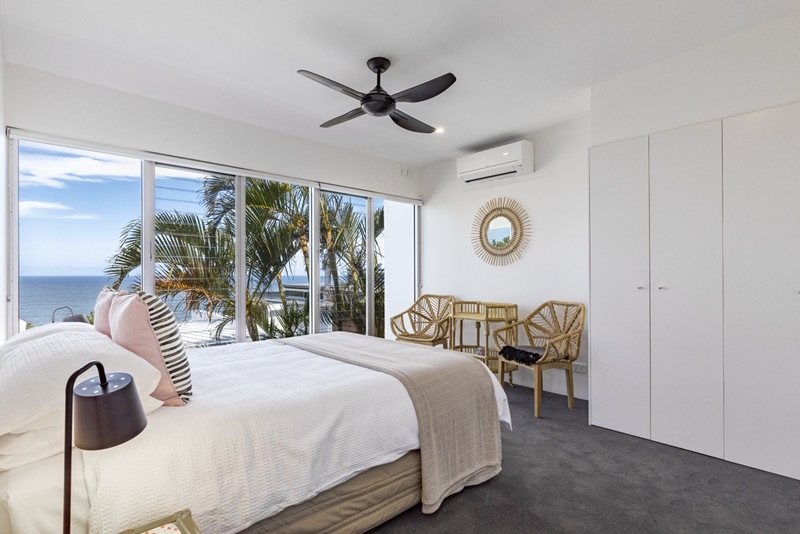 Recently renovated with new furniture and fabulous artwork throughout, your stylish and comfortable surrounds will immediately relax you into a wonderful beach holiday. 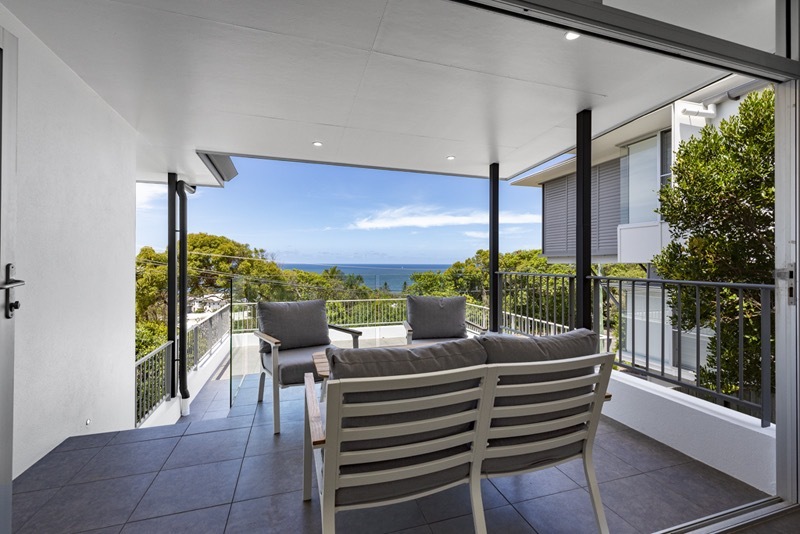 On the first level you will find a lounge room nestled between an atrium garden and views of the sea, complete with large SmartTV with BluRay player and lovely couches to stretch out on. This area opens out onto a split-level partially shaded terrace, with outdoor table and armchairs – a space to sit and enjoy the views or to catch up on a bit of sun-worshipping. Bedroom 1 on the other side of the atrium garden, has 2 x King singles and ocean views, while bedroom 2 is next door at the back of the house and has the option of two low single beds perfect for children or one single bed at a more standard height. Both rooms are air-conditioned with their own control panels and the king twin room has a ceiling fan. 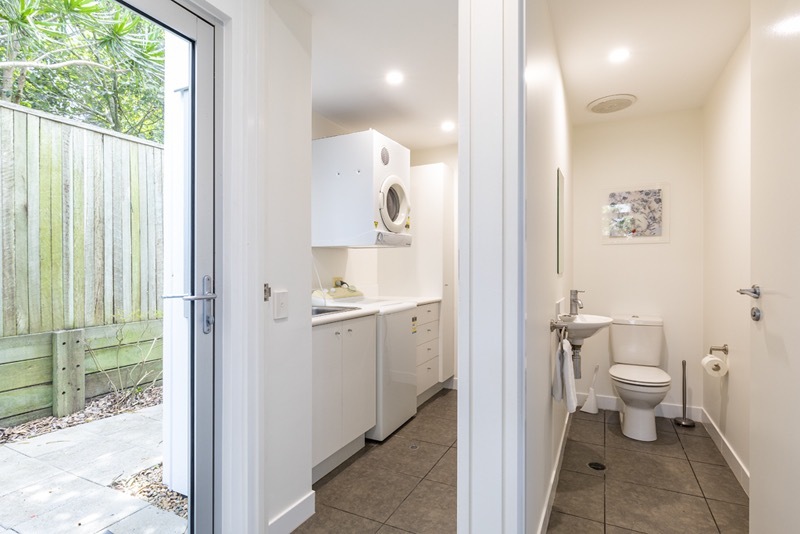 There is a WC and laundry with washer/drier on this level, with the main bathroom being on the upper level. The large living area has high ceilings and floor to ceiling windows allowing uninterrupted views over the ocean and the pool outside. The kitchen is well-equipped to cater for any event and features all mod-cons, stainless steel benchtops and a small integrated breakfast bar. For coffee lovers there are stove top coffee makers or plungers and a bean grinder for a deliciously fresh brew. The dining table comfortably seats eight. 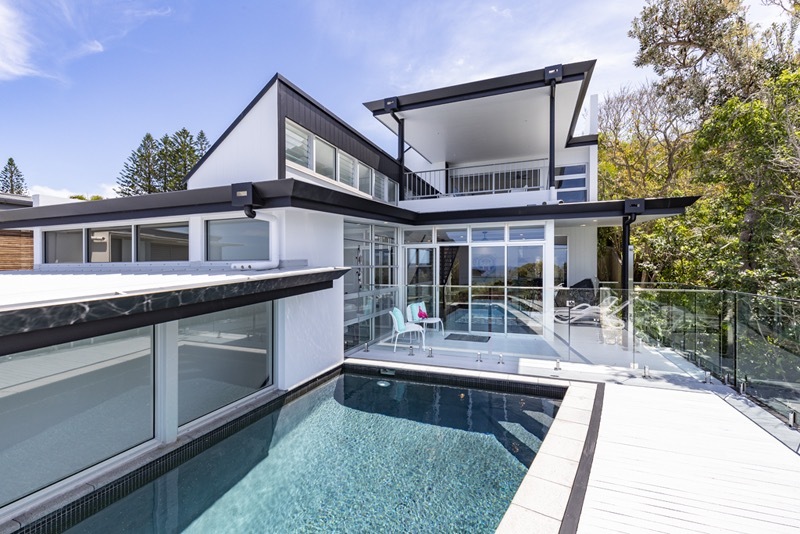 The living room opens onto the pool deck lined with trees. Catch some rays on the day-beds, watch the whales go by from the edge of the pool or BBQ some local prawns while enjoying a sun set. From the king bed in the master suite or the en-suite rain shower you have views straight through to the ocean, with a private terrace overlooking the pool and beyond. This room also has a spacious walk in wardrobe, air conditioning and a ceiling fan. A wonderful private retreat to relax in comfort. 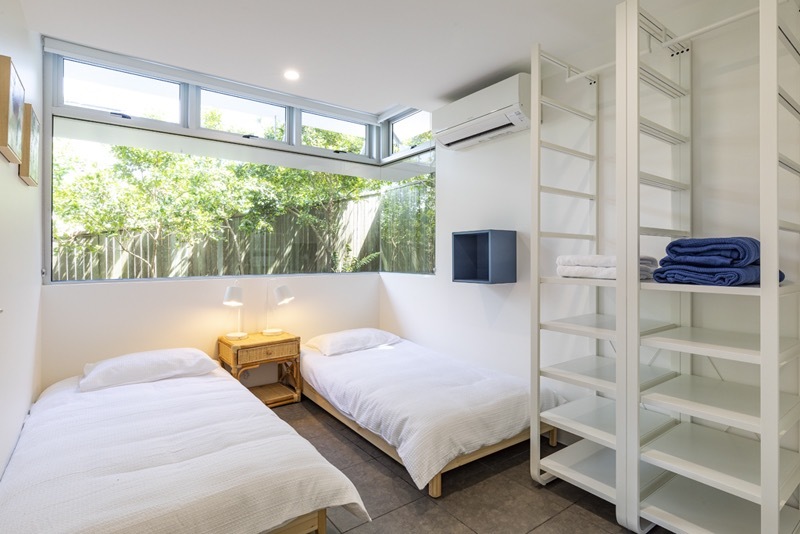 Bedroom 4 has a Queen bed, air-conditioning, ceiling fan and lots of cupboard space. Again, floor to ceiling glass louvred windows can be opened to control the air flow as well as provide beautiful ocean views through the tops of the palm trees in the atrium bed below. The main bathroom is on this level and is incredibly spacious. There is a large walk-in shower and double vanity. 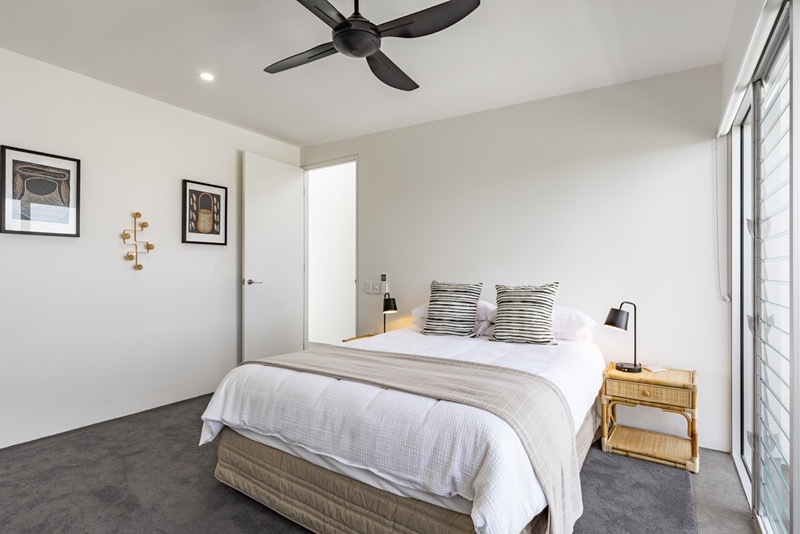 13 Seaview Terrace truly provides enough space for everyone to spread out and relax in and is ideal for larger families or groups of friends looking for their perfect beach holiday house. It’s sure to become a firm favourite and a place to come back to year after year. 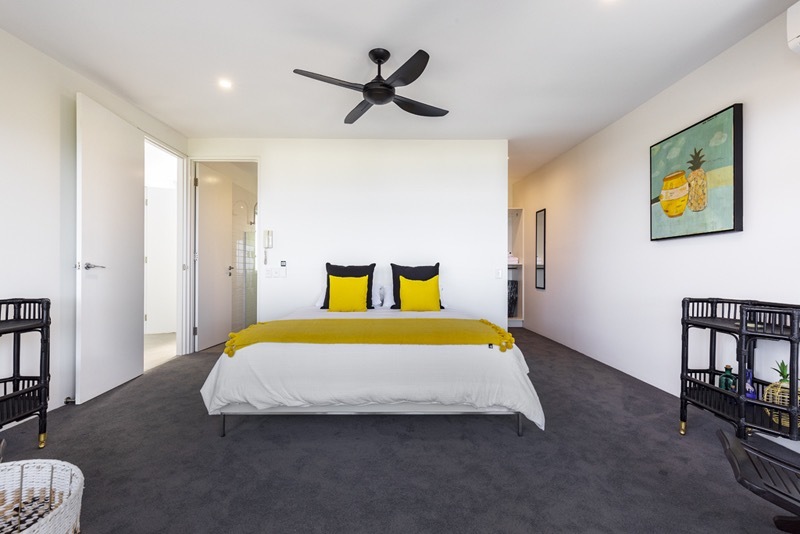 Contact us today on 1300 810 944 or submit an enquiry and let us arrange your next Sunshine Beach luxury holiday accommodation at 13 Seaview Terrace.